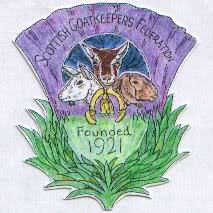 I have had an enquiry from a good friend who is looking for two castrated male pygmy goats. They are going into a pet home hence they need to be castrated. Hope someone out there can help? I know of breeders in perth, fraserburgh and stonehaven, I don't know if they have any for sale yet but I know the breeder at stonehaven has pygmy due to kid in the next few weeks. Probably see them at the shows. I would be interested in the contact details for the breeders you mentioned.